The 1Cooperative Insurance System of the Philippines (1CISP), the largest cooperative insurance organization in the country, is one of the 10 fastest-growing insurance cooperatives in the world, based on the prestigious International Cooperative and Mutual Insurance Federation’s (ICMIF) 2018 rankings. 1CISP President and CEO Roy S. Miclat revealed this achievement during a press briefing held at the Romulo Cafe in Makati City last December 4. 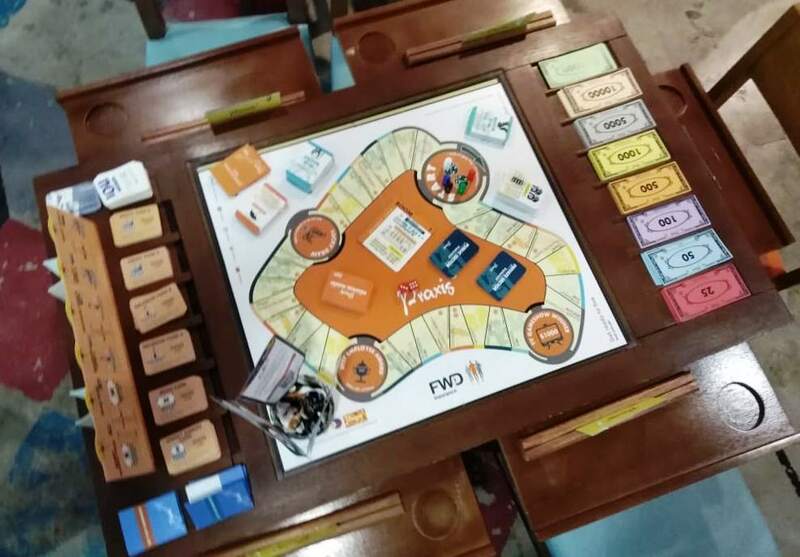 “ICMIF is one of the industry benchmarks we hold ourselves to, as the only global representative body of the cooperative and mutual insurance sector,” Miclat shared. “And their 2018 report validates the sustained momentum 1CISP has achieved,” he added. “These numbers speak for themselves and support 1CISP’s mission—a prosperous Philippines is a cooperative Philippines,” Miclat stressed. “While we take pride in reaching greater heights together with our peers in cooperative insurance, we are even happier that cooperatives are getting the credit they deserve,” he added. Miclat also gave an overview of 1CISP’s 2019 business forecast, projecting an upward trajectory in the wake of their 2-billion asset milestone. 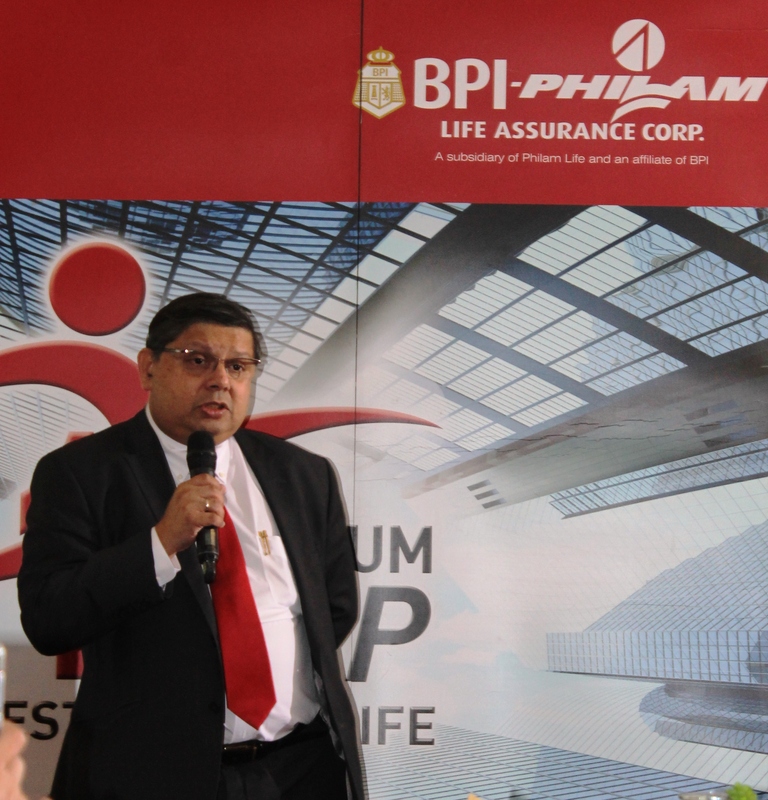 “Cooperatives have been succeeding away from the limelight all this time, but our time to shine is now. We want to show everyone that Philippine cooperatives are making their mark both here and on the world stage, as globally-competitive organizations,” he concluded. 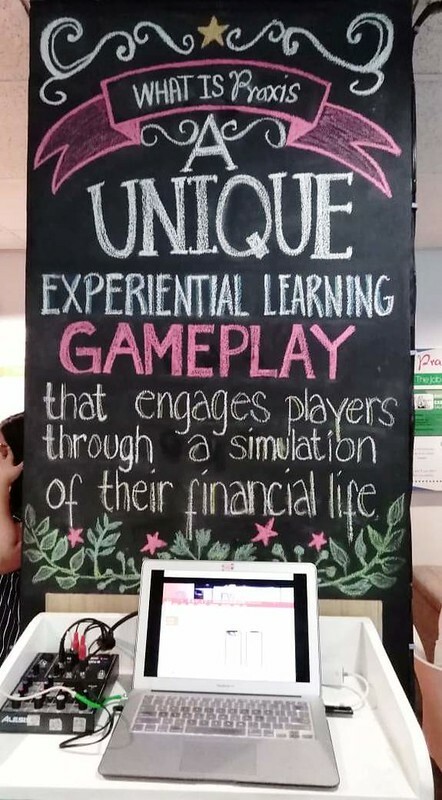 This comes as 1CISP is injecting new vigor into the local cooperative movement through initiatives such as the 1Koop Leaders Academy, an upskilling training program for future cooperative leaders; and the Coop Kicks, a contest for young innovators and aspiring entrepreneurs to pitch their ideas on cooperative ventures. 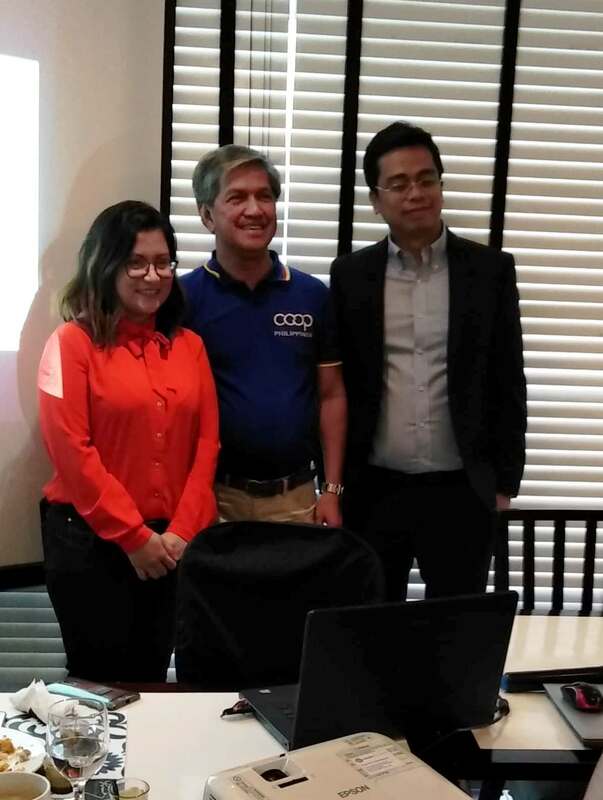 Launched at the 14th National Cooperative Summit in Davao City last October 3-5, these programs were officially kicked off, with 1CISP set to host in 2019 a tri-city HR Summit to modernize the cooperative enterprise, and a youth pitch fest, respectively. 1CISP is also sending a delegation to the biennial ICMIF Asia and Oceania Association (AOS) Seminar 2018 on December 6-7, in Hong Kong. Slated to speak and interact with the youth, Miclat, with other cooperative insurance heads, will lead the Morning Meeting by CEOs and Young Attendees. Tackling the theme “Impact of Digital Innovation,” the AOS is a forum for exchanging invaluable insights, with 1CISP representing the Philippines as the champion for tech-adoption among coops and engaging the youth. 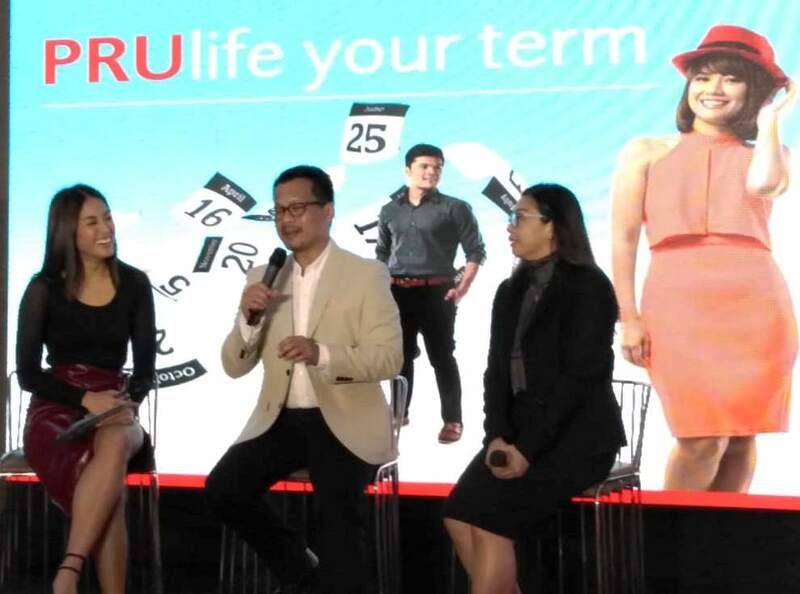 British life insurer Pru Life UK, a subsidiary of international financial services group Prudential plc and the country’s pioneer of investment-linked life insurance, today launched another innovative solution, PRUlife your term, an affordable yearly renewable term insurance which is customizable to fit the protection and investment needs of customers. One million Filipinos officially joined the country’s rally to be a fully-insured nation as Cebuana Lhuillier—the Philippines’ leading microfinancial company—provides free microinsurance through its National Pilipino Protektado Day campaign. Helping Filipinos be more disaster-resilient and prepared against various calamities, Cebuana Lhuillier has declared July 21 as the National Pilipino Protektado Day as part of the company’s advocacy to build disaster-resilient communities and help the Insurance Commission achieve its vision of protecting 80% of the Filipinos with microinsurance by 2020. “For the past years, we’ve been constantly just introducing new and innovative products and services to the public to be able to help them be financially included. 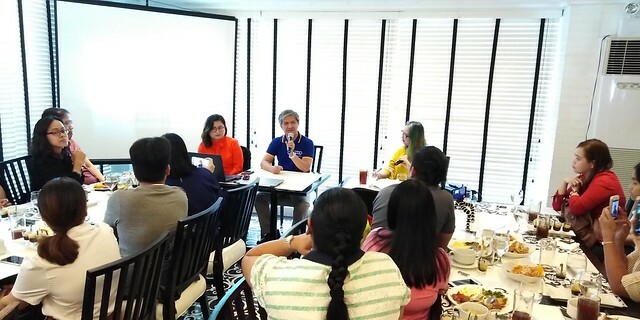 This time, with our National Pilipino Protektado Day campaign, we decided to take a bolder step and took the initiative to really touch ground with those who are most vulnerable to calamities and directly offer them free microinsurance as a new way for them to be secured,” Cebuana Lhuillier President and CEO Jean Henri Lhuillier said. In partnership with Pioneer Insurance and with the help of various public and private organizations, free microinsurance were given out across the Philippines, prioritizing the most vulnerable communities, families and individuals from the marginalized sector. 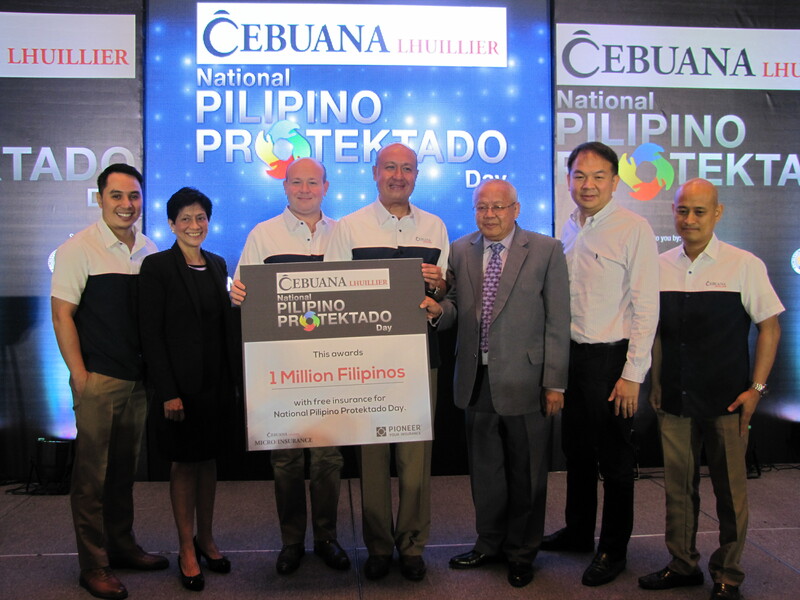 Cebuana Lhuillier Insurance Solutions General Manager Jonathan Batangan reiterates that National Pilipino Protektado Day is only one of the company’s many endeavors in its push for disaster resilience. “National Pilipino Protektado Day is a great milestone in our disaster preparedness campaign. But after insuring one million Filipinos, we are on to more initiatives that will help us promote microinsurance and foster disaster resiliency. 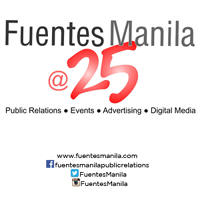 We are introducing an app, a microinsurance organization, and later on, a website–all designed to ultimately promote the welfare of Filipinos,” he said. Cebuana Alerto App Reinforcing its disaster resilience advocacy further, Cebuana Lhuillier has also officially launched Cebuana Alerto during the culminating event. An android app that harnesses the digital mobile platform, Cebuana Alerto is designed to provide real-time vital information about disasters within the Philippines. Equipped with an interactive technology that allows users to share updates in areas affected by any disaster, the Cebuana Alerto app features an alert system that sends notifications to the user in the event of disasters such as typhoon, earthquake, fire, and flood. It has live newsfeeds that show the latest updates from third-party government agencies including the Philippine Atmospheric Geophysical and Astronomical Services Administration (PAGASA) and National Disaster Risk Reduction Management Council (NDDRMC) for weather updates, the Department of Education (DEPED) and the Commission on Higher Education (CHED) for school suspension announcements, and the Metropolitan Manila Development Authority (MMDA) and the Department of Public Works and Highways (DPWH) for information on traffic and road conditions. It also informs the users about Cebuana Lhuillier’s various insurance products and services which they can also purchase immediately online through the app. Furthermore, the app also includes a “Safe Button” special feature that will automatically notify and send an “I AM SAFE” SMS message to the intended recipient about the user’s current state during a disaster. Simultaneously, Cebuana Lhuillier also led the formation of the Microinsurance Agents Association of the Philippines, Incorporated (MIAAPI)—an organization founded to promote the interests and welfare of microinsurance agents nationwide. MIAAPI interim Board Members include ASEAN Insurance Council Head Michael Rellosa, Deutsche Gesellschaft für Internationale Zusammenarbeit (GIZ) RFPA Asia Senior Adviser Dante Portula, Pioneer Insurance VP Geric Laude, Rural Bankers Association of the Philippines Past President Enrique Abellana, Philippine Insurers Club Treasurer Edgardo David, RBAP Coordinator Gay Mapano, Eternal Plans SAVP Jumer Lecetivo, Cebuana Lhuillier Foundation Executive Trustee Atty. Cesar Vidal, and CLIS General Manager Jonathan Batangan. Moreover, Cebuana Lhuillier is also set to launch an online platform for insurance donations called OurHelp later this year. Connecting donees in the Philippines and donors from all over the world through a dedicated website, this crowdfunding website further aims to provide quality insurance protection awarded to the most vulnerable sectors in the form of premium donation from socially aware enterprises. Prior to the culmination of the National Pilipino Protektado Day, Cebuana Lhuillier kicked off its disaster resilience advocacy by mounting and leading the highly-commended “2016 READY: The Role of Microinsurance in Building Disaster Resilient Communities” forum last January. A series of roadshows in key cities such as Baguio, Cebu, and Davao immediately followed to cascade the Forum’s learnings. 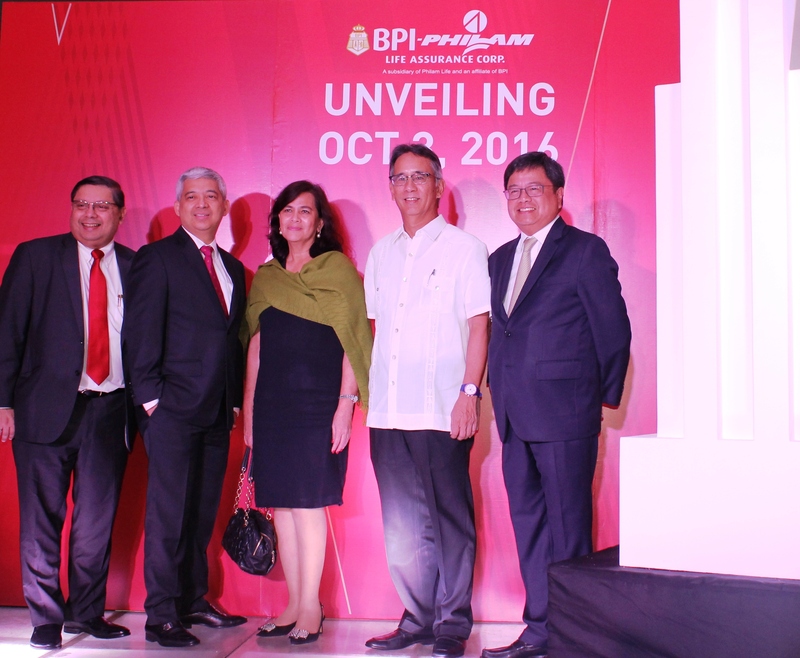 Simultaneously, Cebuana Lhuillier launched during the road shows the Alagang Cebuana Plus Gold or ACP Gold—an improved version of the company’s premiere microinsurance product that already includes a microlife component underwritten by PhilamLife. ACP to date has covered more than six million Filipinos. Can you really be healthy and fit by investing just four minutes of your day in exercise? 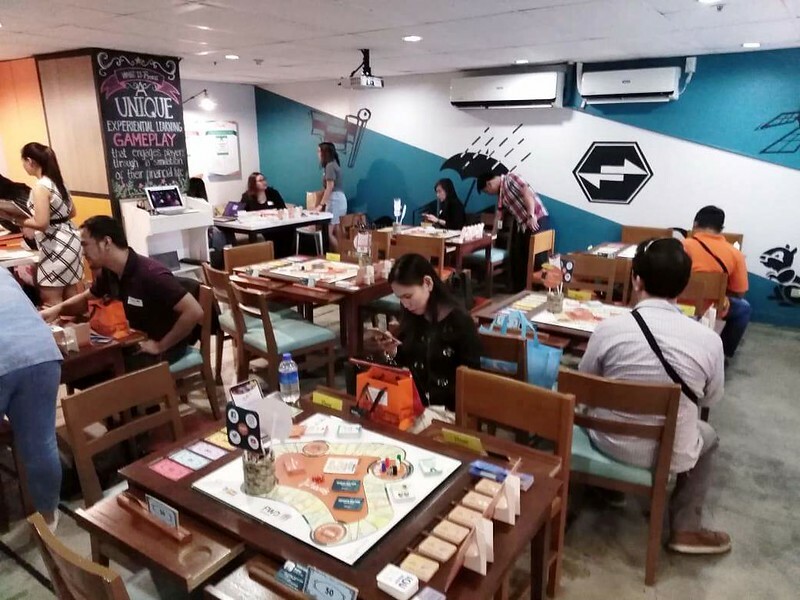 Apparently, it is possible and FWD Life is showing Filipinos how they can be healthier and fitter pursue their passions and live the life they dream of. 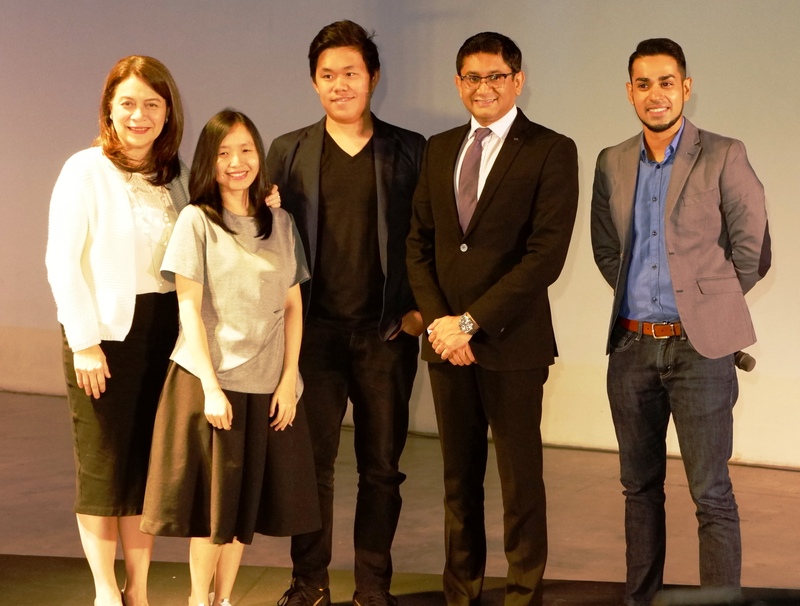 To encourage more Filipinos to start living a healthy lifestyle, FWD Life recently launched a health and wellness movement aptly called Live to Move—premised on the idea that attaining better health is key in living life to the fullest. At the heart of the campaign is the FWD Motion, a specially designed four-minute metabolic fitness (MetaFit) workout which has a health benefit equivalent of up to one-hour exercise. Its four primary steps – jump, squat, push up, and lunge – will encourage Filipinos to get into their exercise gear and start moving. Short, simple, and effective, the four primary steps easily encourage people to work out regardless if they are novice, intermediate or advanced fitness enthusiasts. FWD Motion is a simple regimen. Its four primary steps can be integrated into daily activities and can be done anywhere, reducing the need to go to the gym or attend a workout class. Having been developed by celebrity fitness coaches Jim and Toni Saret (“The Biggest Loser Pinoy Edition Season 2,” “Fit Filipino Movement”), who are also the campaign collaborators, it is scientifically-proven to make an individual lose as much as 600 calories, depending on the intensity of execution and number of repetitions. “FWD encourages Filipinos to be healthier through the Live To Move movement and it matches perfectly with our advocacy. Through Live To Move and the FWD Motion, we are able to motivate people to start moving in as short as four minutes only, so they can live better and healthier lives,” said Coach Jim Saret. Coaches Jim and Toni Saret are also healthy lifestyle ambassadors of the Philippine Heart Association (PHA), the official advocacy partner of Live To Move. FWD Life supports PHA’s 52100 advocacy, a simple guide to remind people of the essentials of good health, with each number representing a daily target: five (5) servings of fruits and vegetables, two (2) hours maximum recreational screen time, one (1) hour of moderate activity, zero (0) sugared drinks, and zero (0) smoking/secondhand smoke. “This partnership enables PHA to further promote public awareness on the importance of maintaining a healthy lifestyle. We are also grateful that through Live To Move, FWD is able to support our 52100 advocacy which encourages Filipinos to adopt simple heart-friendly daily habits,” said Dr. Alex Junia, Philippine Heart Association President. The campaign started with the FWD Motion online video challenge wherein participants post their workout videos featuring their passions and their variations to the four primary steps. 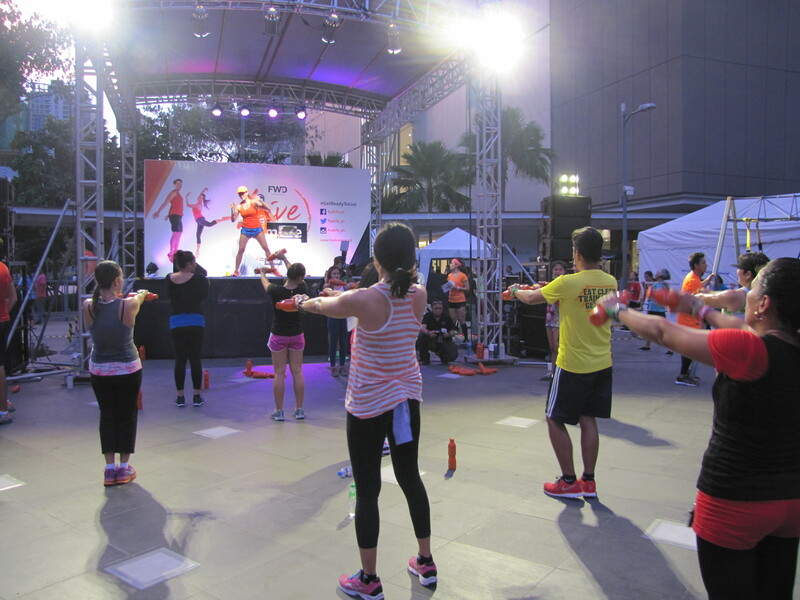 It continues with the Live To Move Tour, a series of health and wellness-themed pocket events around Metro Manila which includes group activities called Move to the Beat (Hip Hop), Move to the Groove (Zumba), Move to Fight (boxing and cardio), and Move to the FWD Motion (MetaFit). It will culminate on October 24 with the Live To Move Grand Festival where participants will enjoy exciting activities and rewards in surrounding booths for free medical consultation, cooking sessions, group workouts, and a free-for-all wellness concert. Campaign participants are entitled to raffle entries which give them the chance to win exciting lifestyle gadgets during the tour and the grand festival. “We have established Live To Move as a platform and the FWD Motion as a key workout routine to encourage Filipinos to start living a healthy lifestyle so they can pursue their passions. We are committed to lead the cause for Filipinos’ health and wellness in the life insurance industry, since we strongly believe in the benefits of living a healthy and more active life,” said FWD Life President and Chief Executive Officer Peter Grimes. For more information about Live To Move campaign, visit FWD Life Philippines on Facebook. You can also visit its microsite, www.livetomove.ph to upload your FWD Motion videos until October 23. You can also catch upcoming Live To Move tour stops in Bonifacio Global City on October 10 and Alabang Town Center on October 17. Arriving in the Philippines in early 2014, FWD is the insurance arm of Pacific Century Group, an investment group established in 1993 with interests in financial services, telecommunications, real estate, and other investments in Asia. FWD is the first in nearly a decade to be granted a life insurance license by the Insurance Commission of the Philippines. FWD launched its commercial operations in September 2014. FWD Group spans Hong Kong & Macau, Thailand, Indonesia and the Philippines, offering life and medical insurance, employee benefits, and general insurance across a number of its markets. For more information, please visit WWW.FWD.COM.PH.